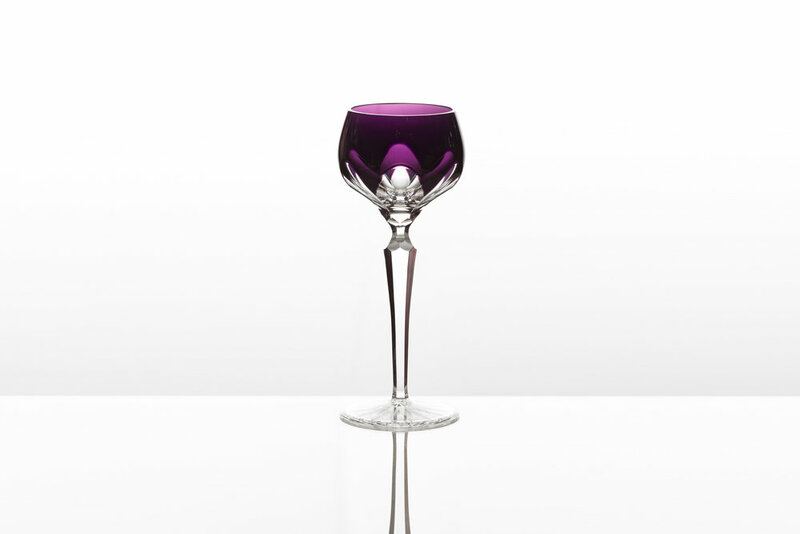 Ajka Crystal’s lead crystal tableware items (cups, glasses, pitchers, bottles, vases, plates, and other decoration items) are created in 17-20 colour variations, unique in the country by applying artisanal technology. The production process of each crystal product begins with high-precision design complying with strictest standards. Our applied artists, and our brand name are well known worldwide. Following the design process the glassblowers blow the red-hot glass into a wooden mould, and bring the product to its final shape. The hot, glowing glass item is then cooled in a continuous cooling cycle of about 4 hours that ensures that the end product is strain free. Able hands help move the crystal of appropriate quality, and state to the polishing shop where our most skilled polishers apply the desired decoration. Following polishing the dull surfaces are treated with acid to bring back their shine. 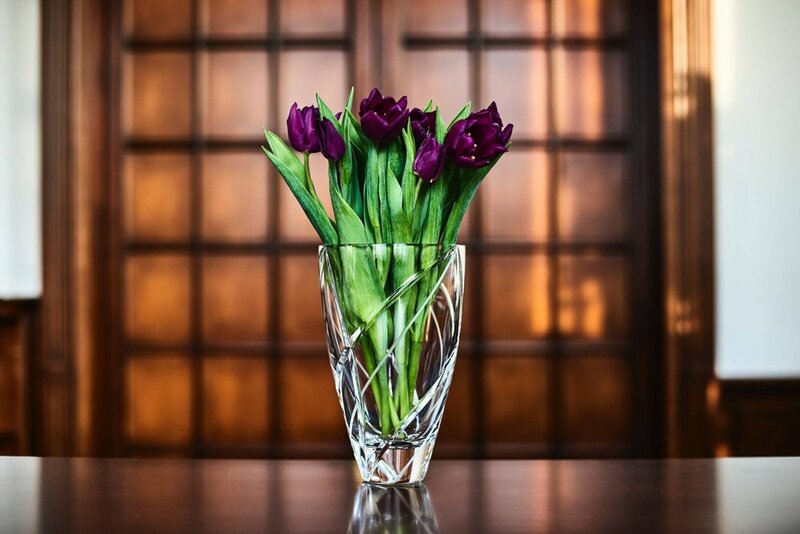 The crystal products thus given artistic value are packaged in decorative boxes designed in-house in which our valued customers will eventually take them home. Überfang is glass consisting of multiple layers of different colour. On layer is colourless lead crystal, the second lead crystal coloured throughout the mass. Following melting together the two layers the master blows it in the wooden mould. The resulting product is decorated by breaking through the coloured layer (by polishing, and sand-blasting). Upon melting in lead crystal, a noble-metal oxide is added to the colour layer to produce crystal products of various colours. Red e.g. is made with a gold compound, which makes end products of this colour more expensive. Cameo means essentially überfang products. Ornamentation uses a unique sand-blasting technology. Our applied artists use a computer aided design tool to create the unique patterns. We have a special printer to make stickers that we place on the glass. Then the product is sand-blasted. The pattern stands out in relief following removal of the sticker. The surface is then shined using acid treatment, and polishing. Applied art items created using Pate de Verre (glass pellets melted together inside the mould), and casting (glass block melted in the mould) technology represent unique esthetical value. Only a limited number of the statutes designed by our artists, and made by hand will go into production, and be sold. Crystal figurines made by further improving the Pate de Verre technology employ traditional, and at the same time modern technique to re-create nature at its most realistic. The creations come in a variety of colour combinations.